The Tracker 211 digital panel meter for low cost basic applications, but in demanding industrial environments. You can use the panel mounted Tracker 211 meter for measurement and display only applications or as an alarm trip and with the analogue output option, it can also act as a transmitter. An alarm relay is fitted as standard with a further 2 available as options. Universal input for T/C, RTD, DC mV, DC Volt, DC mA and resistance. 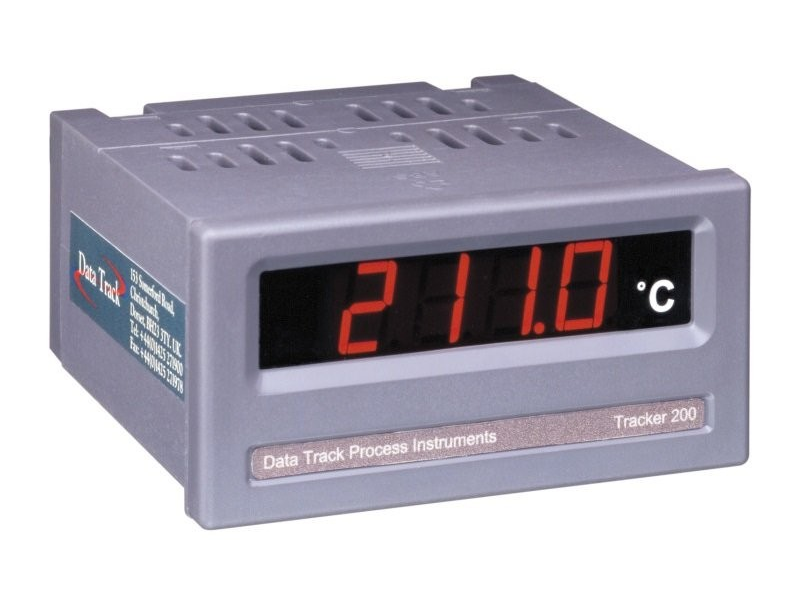 The Tracker 211 is a budget-priced 4 digit universal input panel indicator with 0.05% accuracy for temperature and process measurement.